Hopefully you checked out our last post, The Complete Guide to Growing Seedlings and Why You Should, and are well on your way to have amazing plants for your garden. 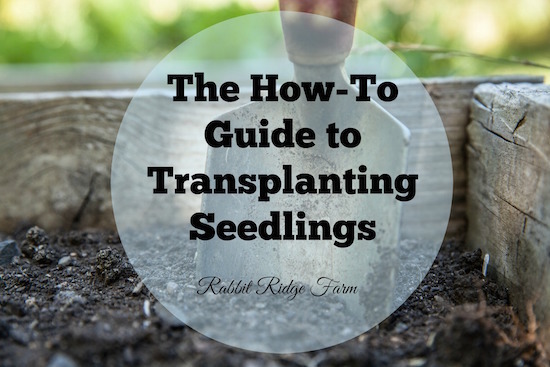 Even if your plants are off to an excellent start or your using store bought plants there are a few things to keep in mind when trying to successfully transplant your seedlings. Your seed packets or plants pots should provide simple directions for the variety of plant you’re working with like what date to plant and what the soil temperature should be but these tips will help ensure your plants get off to an excellent start. First of all your plants cannot go from their cozy little indoor shelf to straight to the garden. They may look tough and healthy but they won’t enjoy the shocking change. To slowly adapt to the wind, brighter light, and temperature change outside you’ll want to slowly introduce them to it. Start with just a few hours a day and slowly increase that over a week. I have provided our usual schedule but some varieties and plants may act differently or the climate may be different in your area. The number one rule for hardening off your seedlings is: always watch them for signs of stress (like wilting) and adapt as needed. To achieve indirect sunlight we usually place our plants on our covered porch. Then for direct sunlight move them into the yard in front of the porch. 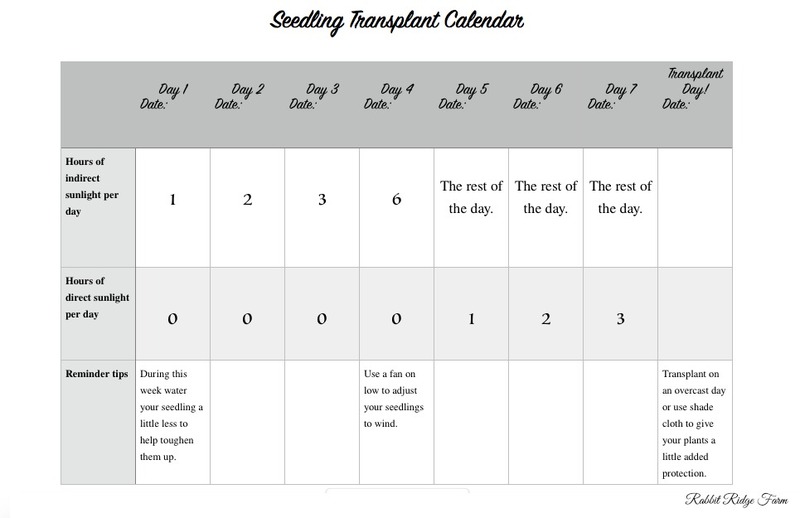 Your transplant day does not have to be day 8. You may choose to wait longer that’s just the soonest we usually plant. During this week we also try to toughen up our seedlings in a couple of other ways. We water them a little less. We let the soil surface get dry. Obviously you still need to water them and don’t want to let them get super stressed but a little will adjust them to garden-like conditions. We also brush their tops with our hands and/or place a fan blowing lightly on them to prepare them for wind. If you choose the fan route remember to make sure your plants don’t dry out too much. When you do go plant out your seedlings you’ll want to pick an overcast day. This will ensure they have a little time to adjust to their new home without facing the stress of bright sunlight. If you must plant on a sunny day you can use shade cloth or even row cover to give your transplants some protection. We’ve also used old curtains as shade cloth. When digging your transplant holes remember with most plants you want to set them in the same height they were in their tray. There are exceptions to this like tomatoes which may be buried deeper. You can use a trowel or shovel to dig transplant holes but we’ve found a post-hole digger to be pretty effective for larger transplants. Just before planting add a little compost or manure tea, liquid kelp, or organic fertilizer and water to your transplant holes. While it’s also good to apply these later as your plants get larger, adding them to the hole gives your seedlings a quick and easy boost. (I’m assuming here that you already have done much of the work to prepare a garden but if not some things to consider include garden type (raised beds, lasagna garden, no till, etc. ), layout, soil pH, soil fertility, and a watering system). Probably the most important part of the actual planting is packing the soil firmly around the roots. Often people don’t realize how much the soil can be packed and if you’re plants roots don’t have good contact with the soil around them they won’t get the water and nutrients they need. If you’re seedlings are root bound (their roots are tangled/matted) you can gently pinch the roots on the bottom apart in a few places to encourage them to grow outward into the soil. If you’re using peat pots or some other natural pot you may need to tear part of them off. If they stick up above your soil they will wick moisture away from your plants roots. After they’re all planted you should water them all. Note: All this information is just general guidelines based on what we’ve had success with, always watch plants for signs of stress and adapt as needed. This post contains affiliate links. If you choose to purchase something we receive a tiny percent at no additional cost to you. It’s how we keep this blog afloat! 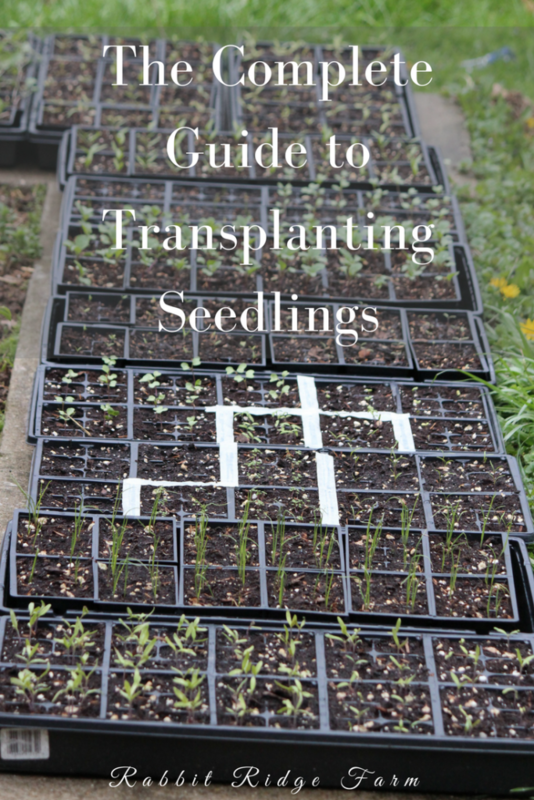 One Response to "The How-To Guide to Transplanting Seedlings"